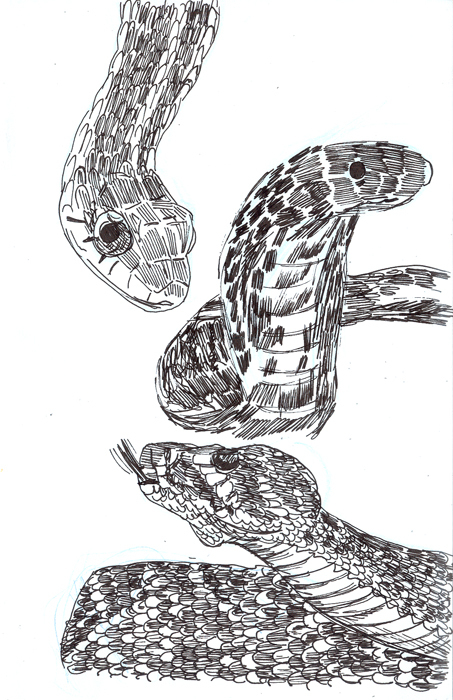 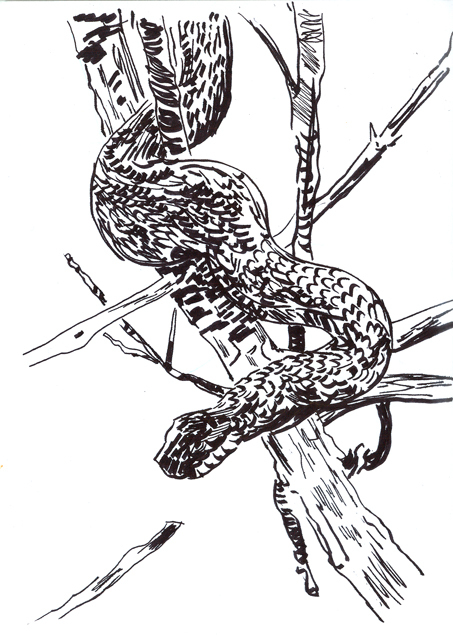 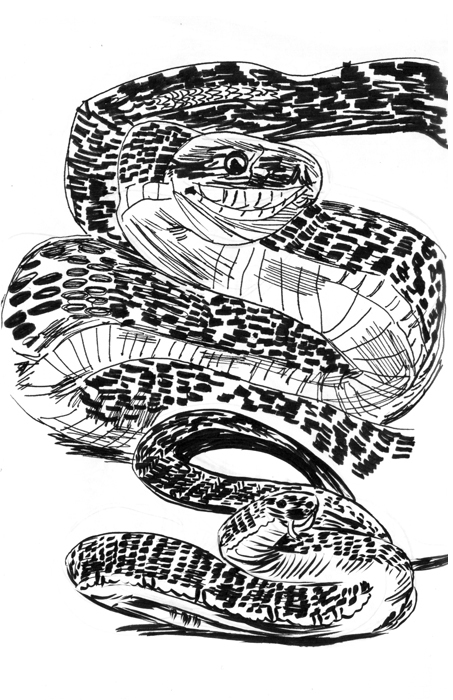 Over the past two weeks or so I've been drawing Snakes when I had time to do some drawing warm-up in the mornings. 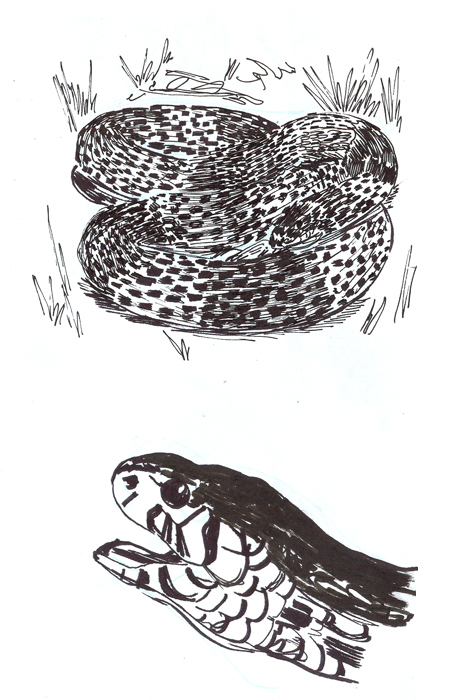 Good drawings, dude. 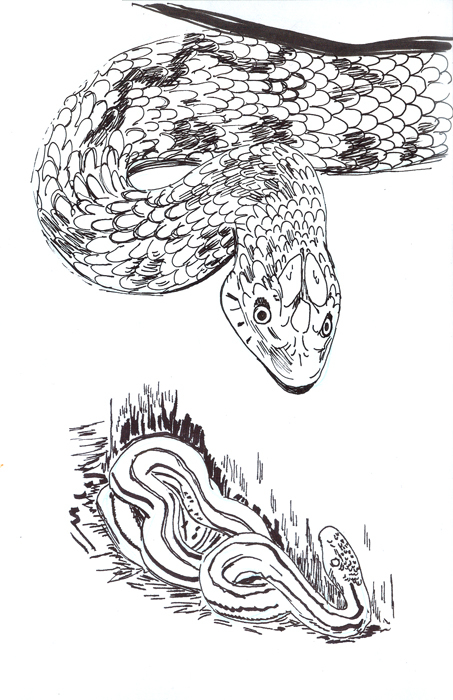 I like how you sketch the scales. 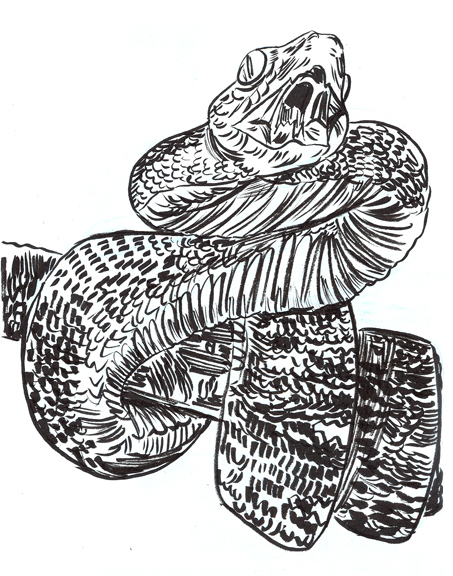 You’re pretty good at doing these texture things.